If you're wondering what to do in Tokyo in 3 days, I'm here to help you figure out how to tackle Toyko in 3 days. Tokyo is a city well worth exploring, but it's also a city where it's worth your time to formulate a game plan, or at least have a general idea. Recently, I've been trying to construct posts that provide genuine value to my readers, such as my immensely popular post on "How to Spend 3 Weeks in Vietnam." Back in the day (we're talking 2009), my travel blog served as a pseudo diary for me, but nowadays, I want to use my travel experience to help others travel as efficiently and successfully as possible. 2017 was a great year for my blog, but the goal is to make 2018 even better. As a side-note, while I'm not at the very top of this recent list, it's cool to know that I'm now considered to have one of the world's top travel blogs. This post didn't materialize out of nowhere. I can't tell you the amount of emails I've received over the years about a Tokyo itinerary or people asking, "Chris, how many days in Tokyo?" I think this is largely because I used to live in Korea, and visited Japan several times. I actually have two old posts on Tokyo that I'll partially draw from to create this. They're more story oriented though with a narrative focus, as was my style back then. For better or worse, there's not much room for that in the travel blogging sphere these days. In this post we're going to get down to business to ensure that you get the information you need to tackle this incredible city. There's a lot to do in Tokyo - take, real life Mario Kart racing for example! Tackling Tokyo in 3 days in a formidable challenge, but it most certainly can be done! Firstly, let me just warn you that these are going to be 3 busy, jam-packed days. Your three days in Tokyo are going to be absolutely incredible, but they're also going to be exhausting. At the end of the day (or third day), it'll be worth it. From a practical standpoint, if you're going to be moving all over the city, you'll want to consider getting a Tokyo Subway 72 hour ticket. A one day pass will cost you about 800 yen (about $7.50 USD), but a 3 day pass will only cost you 1500 yen (about $14 USD). Tokyo can be an expensive city, so you want to cut costs where you can. What's important to note is that Tokyo doesn't have to be an expensive city. As far as flying to Japan, my personal recommendations would be to check Peach Air first, as they often have specials if you're flying from Asia to Japan or vice versa. Another recommendation if you're already in Asia would be Air Asia. If you're flying internationally, it's going to be very much based on your location, but I know for a fact that Delta is making a huge push to get into the US --> Japan market, so check there (especially with flights from Detroit to Nagoya) first. If you're in need of wifi during your stay, you may also want to consider pocket wifi. You may also want to check out this post if you're travelling to Tokyo with kids! If you're looking at a Tokyo itinerary of 3 days, then where you stay is going to be hugely important. One thing to note is that accommodation in Tokyo can be quite expensive. Very basic hotels start around 100-125 USD, but anything decent is going to cost you 175-200 and up. Don't be surprised if a nice hotel puts you into the three or four hundreds (or even higher). Real estate is at a premium in Tokyo, not surprisingly. I'd also note that you're not going to have a large room. Typically, it'll be nice, but it'll be compact. Alright, so what areas in Tokyo should you be staying in? The short answer is that if you've only got 3 days in Tokyo you'll likely want to stay in either Ginza or Shinjuku. They're conveniently located with plenty of restaurants and local culture. Personally, I stayed in Asakusa and absolutely loved it, so that's a good option if you're not interested in being in a super touristy neighbourhood. Shibuya, and the area near Tokyo Station are also both perfectly suitable areas from which to tackle the city. Roppongi, Odaiba, and Ueno are also very intriguing, but your best bet on a short leash would be Ginza or Shinjuku, most likely. If you're resourceful, though, you can make any of these areas work. It's important to think carefully about the best area to stay in Tokyo! In terms of accomodation, I'd recommend the following hotels in Tokyo. I'll offer a suggestion for someone with a low, medium, and high budget for the city. These are locations I feel offer value. This hotel is on the higher end, but still incredible value as far as I'm concerned. You're in the heart of Tokyo. This is on the higher side, but seeing as you're in Shinjuku, it could be worth it. This is a pod hotel (quite the experience) in Tokyo's Ginza neighbourhood. "I've got three days in Tokyo, What Food Do I Need to Try?" This could be a post unto itself, but Japanese food is my favourite on the planet, so, just for posterity sake, I at least need to offer you a little "greatest hits." I eat a lot, so these are the foods that I would try to at least make sure that I tried in three days in Tokyo. One thing to note - don't be scared about trying street food. This isn't India (no offence) - everything is kept to a very high standard and can be eaten. Look for deals, and pop into places where you see a lot of locals grabbing their lunch or dinner. It's perfectly acceptable to have a cheap lunch of ramen in a packed ramen hut and not spend all the Yen in your pocket. You also might find that a lot of your Tokyo photos will be food related because Tokyo is downright delicious. With 3 days, eating would be a big part of my Tour de Tokyo. This is what I would look towards. I literally just wrote a post for Go Backpacking on the Best Food in Japan's Chubu Region if you'd like to dive a little deeper into Japanese food. This may seem like an exhaustive list, but I'm not exaggerating when I note that I've literally eaten all of these things in one day in Japan, so three days in Tokyo should be plenty. Of course, when you pack for Tokyo, you’re going to choose what makes sense for you to bring for three days in Tokyo, but here is a list of 5 things that I truly believe will make your Tokyo experience that much better. Tokyo Lonely Planet - Call me old fashioned, but I love having one of these to peruse when I’m in transit, and take a break from my electronics which, as a blogger, I already use enough as it is. Hopefully this article will be helpful as well, my friends. Japan Lonely Planet - If you’re doing more than the country’s capital, then this is really going to come in handy. Herschel packable day pack - These are beyond convenient for travel and ensuring that you can tackle a city properly. I pack these with some water, snacks etc. in the morning, then use it for souvenirs, nicknacks, or information throughout the day. S’well Teakwood Water Bottle - No, you don’t need this, but I’m an absolute sucker for how great these water bottles look, and how easy they are to bring around with you. Haruki Murakami’s Kafka on the Shore - I adore Murukami, and this is the book you should start with if you’ve never read him. He’s bizarre, in the best kind of way. It’d be a great book to read in Tokyo. Herschel Retreat Mid-Volume Backpack - Yeah, it’s pretty clear I like Herschel. This bag in particular is a good size for bringing on planes and on transit. You can fit the Herschel day pack listed above inside this one believe it or not - that’s how much it compacts. Nintendo Switch - I just got one, and I’m seriously in love. Can you imagine playing Super Smash Bros or Mario Kart in the home on Nintendo? I might be outing myself as a nerd, but that sounds epic to me. I should briefly note that I'm going to put together a lengthy list of things to enjoy and appreciate in Tokyo for you to browse through and choose from. I'll be including what I think can roughly be accomplished with 3 days in Tokyo, but I'm not saying "do this first, then this second and so on." This is merely what I would do, in no particular order, if somebody handed me a blank check and said, "Chris, you've got three days in Tokyo." My first, second, and third recommendations are to check if there will be a sumo wrestling tournament when you're in Tokyo. There are 3 major sumo tournaments in Tokyo that take place in January, May, and September respectively. I was able to attend a tournament at the incredible Ryōgoku Kokugikan stadium, and it was the experience of a lifetime. I lined up early in the morning to get tickets on the day of the tournament (they sell out fast), but I'm told that you can reliably get tickets nowadays online ahead of time. To give you some sense of the sort of view you can get, you can take a peak at the photo I took while there just above. If you're a sports fan, this is really the penultimate. It's a day of drinking crisp cold Japanese beers and cheering on sumo wrestlers. What more can you want? If you've only got three days in Tokyo, then on one of the mornings that you have, you need to head down to the Tsukiji Fish Market. It's the biggest wholesale fish and seafood market on the planet, and you need to see it with your own eyes. If you can bear the early mornings (and you should find a way), head down to the market for the tuna auctions. Unfathomable amounts of tuna and other delights arrive at the market each morning (except Sundays, holidays, and some Wednesdays), in what amounts to the middle of the night. Around 5:20am the auctions begin, and they're truly something to behold. I'm not sure if legislation has changed, but when I was there a little while back, they let in a limited number of spectators to watch the auction unfold. I've always put value in seeing things that you couldn't see anywhere else, and that's the case with seeing something like this. Asakusa is, in fact, a neighbourhood, but in many ways it serves as a giant museum. It was one of the premier entertainment districts of Tokyo during the Edo period, and the heart of Tokyo's ancient "low city." It is, in my humble opinion, an absolute must visit during your three days in Tokyo. It might be my favourite area overall. The area is highlighted by the Senso-ji, which is a very popular Buddhist temple that dates back from the 7th century. From a travel photographer's perspective, I think Asakusa is a goldmine, and therefore something that needs to be included when you're thinking about what to do in Tokyo in days. It's not necessarily what you conjure up in your mind when you think about what the palace will be, but the surrounding area makes for a very pleasant stroll. It's a nice start to the day when you're thinking about how to spend three days in Tokyo. As I noted, It is more reminiscent of a park, and the entire area spans a little over 7 kilometres. I can only speculate that during the Japanese property bubble of the 1980's, this piece of land would have superseded the real estate value of entire countries. The area currently withholds the main residence of the Emperor of Japan and his family. Judging by the visiting restrictions, the lives of the royal family are kept under considerably more secrecy than their British counterparts. This shrine is widely considered to be Tokyo's finest, and I can do nothing but nod my head in agreement to that statement. Keep that in mind in terms of how to plan your Tokyo, Japan itinerary. 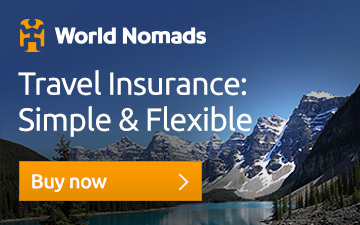 There aren't that many Tokyo itineraries which this would be left off of. This shrine commemorates the emperor and empress who were responsible for ending the paranoid isolationist policies, and reuniting Japan with the outside world. Bri and I took a charming walk through the surprisingly dense forestry and eventually happened upon the shrine area. The Hie Jinja Shrine isn't all that far away from here, if you're looking to get a quick photo in the "tunnel of torii," which are the famed Japanese orange gates that are so famous in other parts of the nation, especially Kyoto. Firstly, it's worth noting that Shinjuku Railway Station is the busiest on the planet, so that's worth observing in and of itself in your three days in Tokyo. 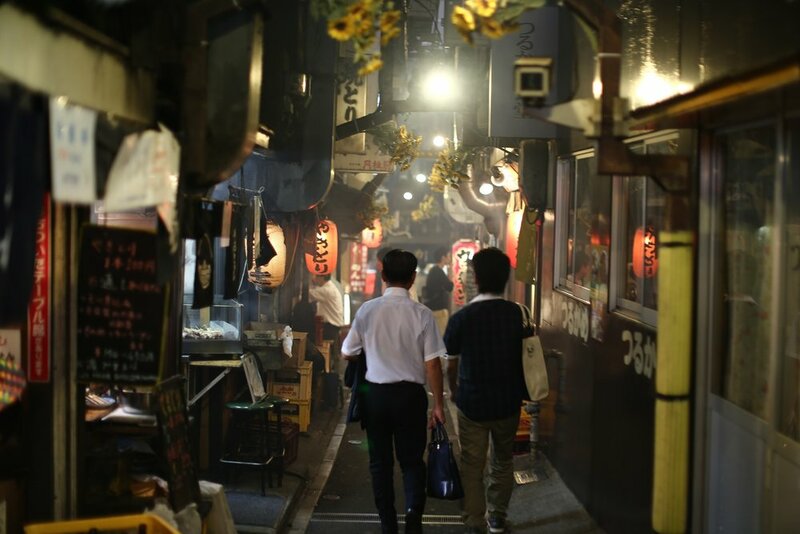 The area of Shinjuku is a sprawling entertainment hub worth exploring in its own right, but there's something special about the Golden Gai. The Golden Gai is essentially six narrow alleyways connected by a slew of even narrower passages that lead everywhere and nowhere. These alleyways are chalk full of delicious restaurants, seedy bars, and an unlimited supply of Japanese business men who wanted to sneak in some sake before going home (or not go home at all.) It's just one of those places that isn't all that hard to add to your Tokyo itinerary, so take one evening or night and do a little exploring. While you're there, don't forget to sip on some Japanese beers. Both Sapporo and Asahi and crisp, cool, and delicious. In my opinion, it's a given, but wet your lips with a little sake as well. Roppongi Hills is a neighbourhood at large, but I think it's worth being included on the list. Firstly, it's one of the premier entertainment districts in Tokyo, and that alone makes it worth including on your 3 day Tokyo itinerary. The area is filled with great small bars (izakayas) , but you've also got the Tokyo City View Observation Deck. Personally, I went to the Mori Museum which contained some art I adored from the likes of Utagawa Kuniyoshi, then went up the observation deck for a view of the city. Ueno Park is nice to sneak into your three days in Tokyo, as it offers a bit of a reprieve from the hustle and bustle of the city. It's especially worth a visit if you happen to be in Tokyo during Cherry Blossom season. It's one of Japan's oldest city parks, and one of Japan's most popular city parks (with some estimating it's visited by over ten million people a year.) Beyond the fact that it's lovely for a walk, and it contains some museums and attractions that are fascinating, it's a marvelous place to just go and do some people watching! Shibuya's pedestrian crossing is something to behold. Basically, you stand by and watch as people walk through an intersection from 7 different angles. I can almost guarantee that you've never seen anything like it. We're talking about literally thousands of people at once. What's intriguing to me about it, is that it all goes off pretty much without a hitch. It's impressive to watch a scene that would be sheer chaos in so many other parts of the world unfold over and over without much of an issue. Akihabara has to be the most unique and bizarre area in Tokyo. It's the headquarters of Japanese gaming culture, but also, more recently, it's really just become the headquarters for "fan culture" in general. You've got neon lights everywhere, and plenty of shops devoted to anime and, well, anything you could possibly imagine. If I'm not incorrect, there's also a number of cafes where you can be served by people in costumes of all sorts. The most common one I remember seeing were "maid cafes," but I didn't personally venture in. As far as I could gather, it was Japanese women dressed in maid costumes serving drinks and the like. I'm not sure about all that to be honest, but the area itself serves as recommended sensory overload. I hope that the information I provided you above serves as a sort of skeleton upon which you can base your 3 day Tokyo itinerary. I try to fit a lot in, so if you look at the above list and think I'm crazy, then one could deduce that you're probably right. You're not going to make the wrong decision. If you eat, drink, and wander with intention, you'll likely see much of what I've outlined. However, Tokyo is a city where, if you do really take a concerted approach to how to see it, you'll fit in an incredible amount in 3 days. If you do end up using this little guideline, I'd love it if you left me a comment below and let me know if you found it useful, or what you might add or detract from the list. Go out and explore, my friends, that's what life is all about. If you found this overwhelming, you can also check out a Tokyo guide for first timers! What did you think of the mini 3 day guide on Tokyo? Have you been to the city? What were your impressions? How does it compare to some of the other cities that you've been to? As always, any and all comments are welcomed below. If you like it, don't forget to pin it!